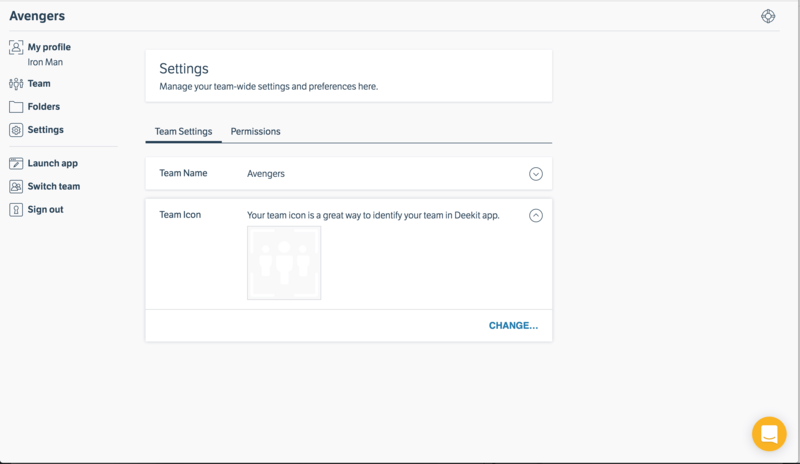 You can upload team icon under “Settings” on the Admin page. Click “Manage” in Deekit app or go directly to the Admin page on web. Click “Change” under Team icon panel or click directly on the image. Choose the image and resize it. Click and drag inside the box to move the selected crop to another area of the image.